Adtran: All Adtran products are Refer Direct which means that customers have to contact Adtran at 888-423-8726 for all defective items. AudioCodes: Audiocodes products cannot be returned to VoIP Supply. If you feel your Audiocodes gateway is defective, visit our Technical Support page and open a support ticket. We will work with you to troubleshoot your appliance as long as it is within 30 days of purchase. For troubleshooting outside of 30 days, you must purchase an Audiocodes Technical Support package. 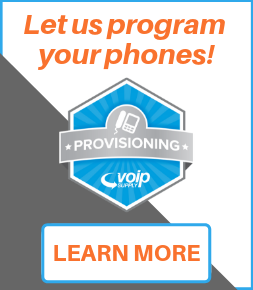 Talk to your VoIP Supply salesperson about 24x7 or 8x5 ACTS support packages. *NOTE* post-sales technical support and remote deployment are not the same thing. For assistance setting up and configuring your AudioCodes gateway, we highly recommend you purchase a Remote Installation package. ClearOne: All ClearOne products are Refer Direct which means that customers have to submit defective requests by emailing tech.support@clearone.com or by calling ClearOne at 800-283-5936. CyberData Products: All CyberData products are Refer Direct which means that customers need to submit defective requests to CyberData VoIP Technical Support or CyberData Warranty & RMA Returns. Digium Products: All Digium product returns due to defect are handled directly by Digium. Please visit Digium's website to initiate a return. Grandstream Products: All Grandstream product returns need to be accompanied with a ticket number directly from Grandstream. Please visit Grandstream's website to initiate a return. Patton Products: Patton gateways cannot be returned to VoIP Supply. For in-warranty support questions, call Patton Technical Support at 301-975-1007 or visit the Patton Return Request Center. RockBochs: All RockBochs products are Refer Direct which means that customers need to contact RockBochs directly for support or help with defective units. Please call 218-727-4332 and select Option # 2 for assistance. Sangoma Products: All customers with a Sangoma return must first work with Sangoma technical support to troubleshoot the product. All defective Hardware does require a ticket number and a diagnosis number if deemed defective by Sangoma before an RMA can be issued through VoIP Supply. For defective phones that ARE NOT DOA (no power) require to be troubleshot by Sangoma. If deemed defective Sangoma will then issue a ticket number so that an RMA can be issued through VoIP Supply. Valcom Products: For malfunctioning units please contact Valcom Tech Support for troubleshooting. If the unit is deemed defective by Valcom please contact VoIP Supply with the name of your Valcom engineer and details about the defective unit. VoIP Supply will then Issue your RMA and replacement unit. VTech/AT&T Synapse: All VTech and AT&T Synapse products are Refer Direct which means that for defective products customers need to contact VTech at smbsupport@vtechones.com or calling by 888-916-2007 (Select option 2 for Tech Support). If a product is deemed to be defective a replacement will be shipped directly by VTech. 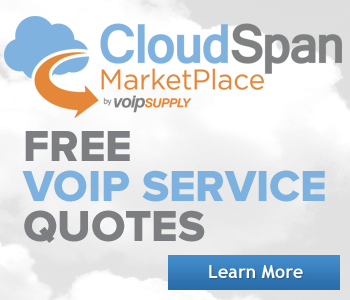 VXI: VXI will issue direct replacements on defective product returns directly for VoIP Supply customers. Please contact VXI directly to initiate the return. Jabra: Jabra will issue direct replacements on defective product returns directly for VoIP Supply customers. Please contact Jabra directly to initiate the return at 1-866-697-8757.